Facebook has become a powerful tool for promoting events like your pro-life event. For some leaders, it has become the primary way to build enthusiasm and boost attendance. Below, you’ll find instructions for creating a Facebook event you can share, promoting your event with frequent status updates, and even advertising your event on Facebook. A “Facebook Event” is a special page you can create for sharing the details of your event. If you’re not familiar with how to do this, read through the “Creating and Editing Events” page on Facebook. Note: When you create your Facebook event, be sure to make it a Public event. To help “brand” your event, use this cover photo like the one above for your event page. Currently, the best size for a Facebook event cover photo is 1200×675 pixels. If you’re not able to make a photo a specific size, you can simply upload a photo and resize or move it as necessary within Facebook. On February 11, pro-lifers across the country will hold rallies at Planned Parenthood facilities, calling for an immediate end to the organization’s federal funding. Planned Parenthood is the nation’s largest abortion chain and receives over $500 million from taxpayers every year. But pro-life leaders in Washington are now moving to end that government subsidy. Come out on February 11 and raise your voice with tens of thousands of pro-lifers across the country demanding that our government defund Planned Parenthood! Here in [your area or city], our protest will take place at the Planned Parenthood facility at [PP Facility Address]. Once you’ve set up a Facebook event for your protest, invite all your friends to attend and spread the word, even if they don’t live nearby. Someone in your town may learn about the protest through a mutual Facebook friend. But don’t just stop with one mention of the event. It’s easy to miss things on Facebook, so make a point of inviting your friends more than once before your event. And share the event page regularly on your wall—every day is not too often. Once you’ve created your Facebook Event, send a link to the national team so we can add it to the listing for your site. That way, new people can RSVP and then share the event with their friends, too. Once your event is set up and you’ve shared it, don’t stop there! Share other content exposing abortion on both your personal Facebook page and your event’s event page. Items worth posting could include articles about protest efforts, pro-life legislation, articles exposing the reality of Planned Parenthood, videos on those same topics, and memes that expose Planned Parenthood and call for defunding. If your event is being hosted by an organization that has a Facebook page, post on that page, too. 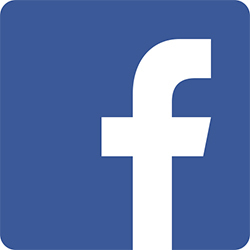 In short, try to post at least one item relevant to your event every day on all the Facebook pages you have access to. One final way to promote your event on Facebook is through paid advertising, with a picture and ad copy that will draw people to your event. The more money you put behind your ad, the more people Facebook will show it to. A budget of even $10 or $20 can give your event a lot more reach and get people excited to attend your event. 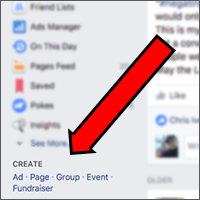 To create a Facebook ad, simply find the “Create” section at the bottom of your left sidebar on your Facebook page, and select “Ad”. You’ll then choose the “Engagement” objective and then “Event Responses”. Choose your event page as the event you’d like to advertise, and you’re off. Next, choose your audience (include people who are interested in other pro-life groups), the picture for your ad, and how much money you would like to spend, and how long you would like the ad to run. We would recommend running an ad a week prior to your event and end it the day before the event. Though Facebook’s ad creation tool is pretty easy to use, you can get step-by-step instructions on how to design and place an ad right here. And if you need further assistance, including photos you can use, contact the Pro-Life Action League via email.